Hello friends! 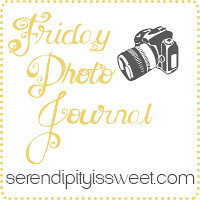 Welcome to week two of Friday Photo Journal. I am thrilled you are here. This week was busy at our house. We have been up to our eyeballs in cleaning, organizing and purging. Oy! I think we've donated about two truck loads of stuff, and we still feel squeezed into this little house of ours. It's getting better by the day, though. I know I will be relieved when it is finished. We were expecting furniture delivery yesterday, but that was delayed. Boo. Hopefully our new couch, chair and mattresses will show up in the next few days. Meanwhile, the girls are sleeping on the floor. Enough about that, on to the good stuff. I can't wait to see what you have to share this week! We had our first basketball game of the season. The big guy decided not to play this year, but my 7 year old is cheering again. The top left pic is of the littles watching the game. Next up is breakfast! I love those little sleepy-eyed cherubs. Top right is Little Miss on a walk with me. We explored outdoors while my big girl was Girl Scouting. Middle left is another pic from our walk. Center right: my new (used) car! Hubster bought me a VW Routan and I am in love! Bottom left: a landscape of the church in the country where our Girl Scout troop meets. Bottom middle, the boys on scooters. We had a warm up in weather and it has been fantastic. Bottom right, well, a little puppy love. Melts my heart! Thanks for visiting! I love catching up on your news. Have a great weekend! Have a great weekend, Mama! Love, Love, Love the puppy shot. Have a wonderful weekend. What a great week, and I have some purging to do as well. And ummm, love me some puppy LoVe too!! The kids are all so lovely! They are always a good subject for a photoshoot. So innocent, yet full of life. It sounds like you got a lot accomplished this week! We need to do the same thing!! It always feels good to get rid of things!! Great photos! I love the first one of your littles ones sitting so close together, sweet. Sounds like a busy time at your place! Love the little captures of your life! You have such sweet images! The puppy hug is so sweet! What a packed week! Enjoy the new ride! Congrats on the new car!!! I am starting to really think about what I want to replace my van with that has 4wd. We traded our Rodeo for the Harley never thinking that we would end up here. Now I have a van that leaves a lot to be desired in this weather :) Maybe I will look at the Routan. Great shots. Love the whole last row. 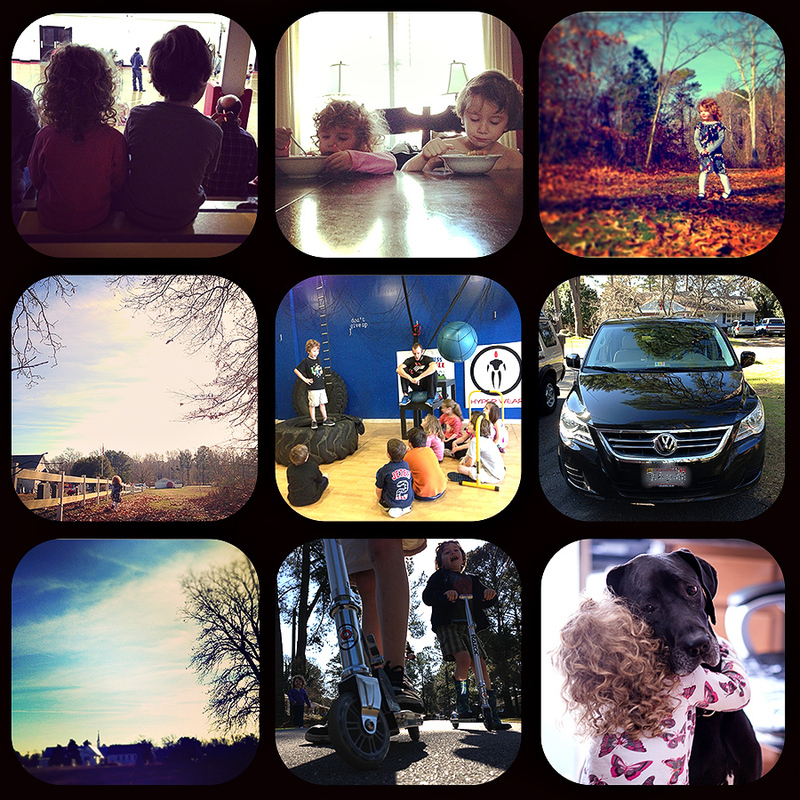 great photos... love your collage-are they instagram images? nicely done!! this is my first time linking... enjoyed my visit here. we used to live in richmond and i loved visiting the coast! I love, love, love the breakfast shot!! Looks like it could be a cereal ad! Hooray for a new car. Hope your new furniture comes soon. We need to get on shopping for a twin bed for my youngest and then getting rid of stuff in the guest bedroom to make room for baby. Melissa, what a lovely blog!